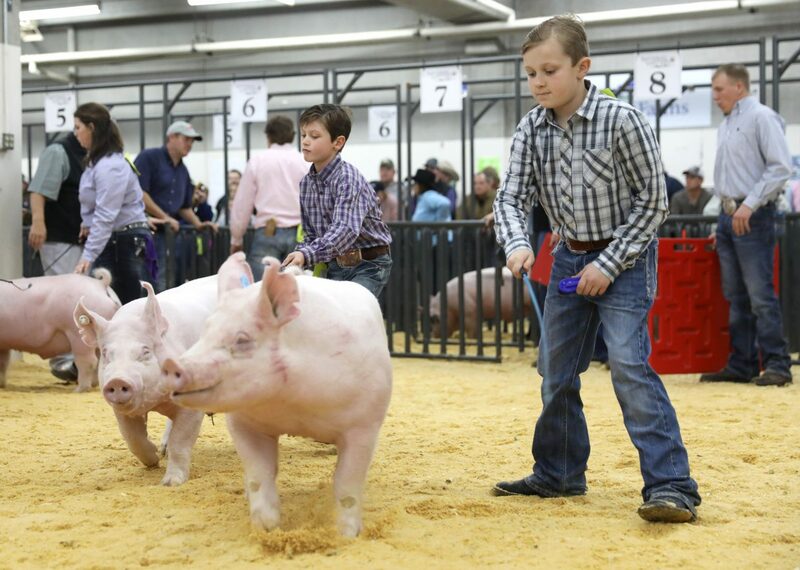 Caden Bangert, 9, of Fort Lupton shows his hog during the Class 10 Yorkshire at the National Western Stock Show in Denver. 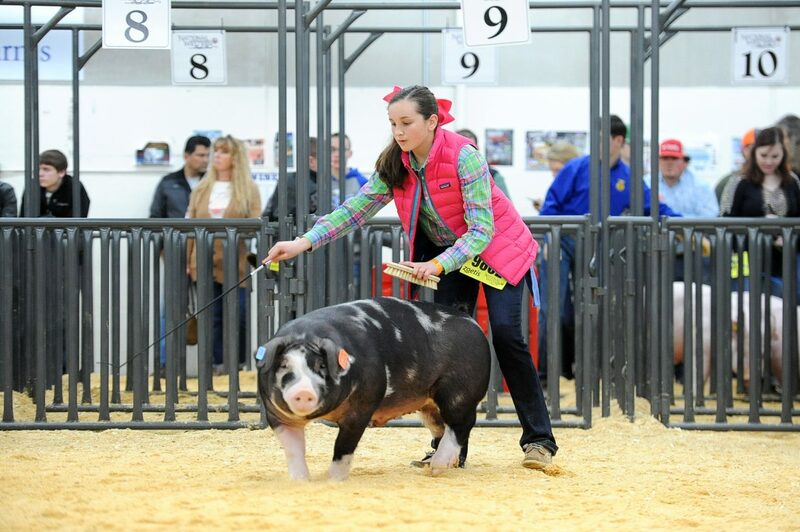 Taylor Starks competes in the Class 9 Yorkshire on Wednesday at the National Western Stock Show in Denver. Landon Edwards wins first place in the Class 11A Light Weight Crossbreds on Wednesday at the National Western Stock Show. 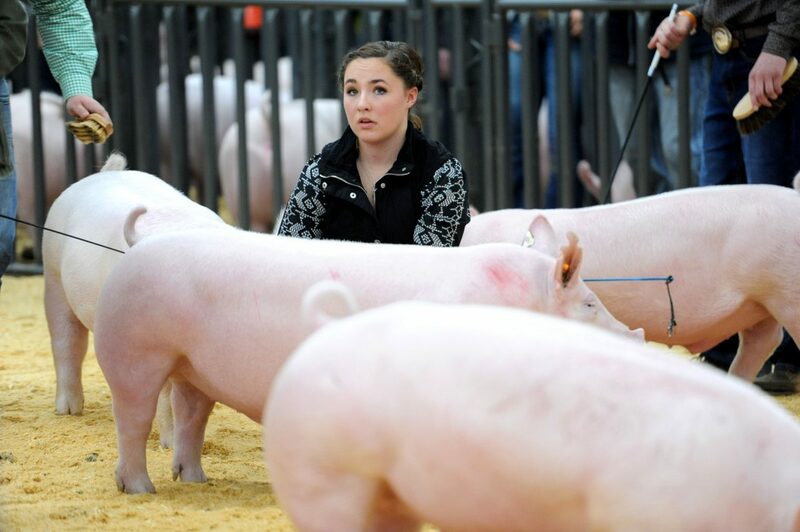 Klaire Walden, 11, shows her hog Wednesday at the National Western Stock Show in Denver. Jake Johnson of LaSalle wins first place Wednesday during one of the hog showings at National Western Stock Show in Denver. 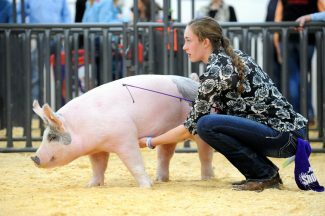 With one year of eligibility left, Katie Pettit figured this would be the year to enter the National Western Stock Show. 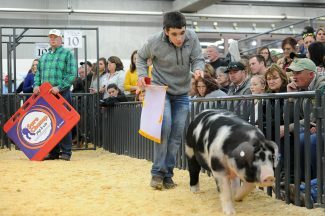 The 18-year-old from Pierce, Colo., showed two hogs at the market show on Jan. 18. Her younger brother, Colton, also showed hogs. "With it being my last year to come here and compete for sale, we figured we'd give it a shot," she said. While the day didn't go well for her, she said the experience is what she really wanted, and it turned out to be a positive one. "I wasn't expecting them to be as nice here with so many people," she said. 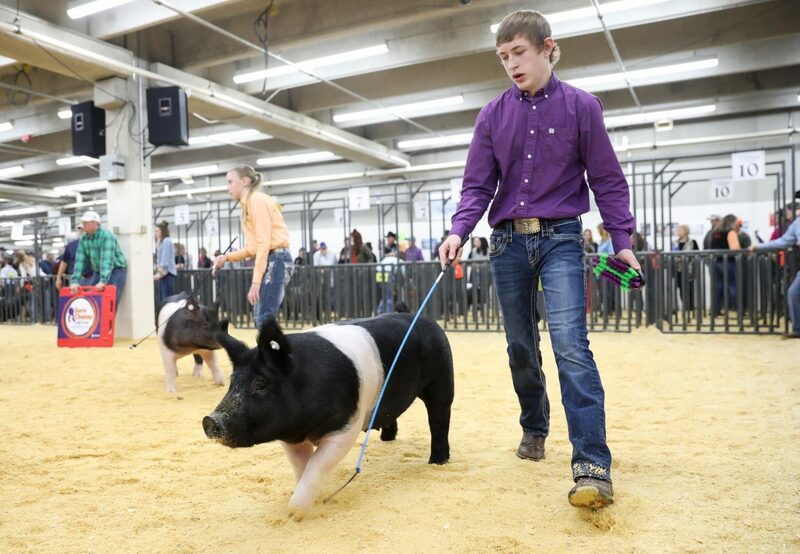 For Spencer Clements, 15, of Stratford, Texas, competition isn't something he shies away from. This is only his second year at National Western, but as the saying goes, everything is bigger in Texas. Clements is used to showing in larger arenas. But the reputation of National Western brought the family to Denver. "We heard it's a good show," Clements said. 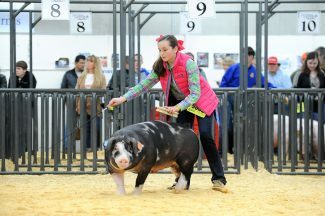 Clements had the champion Poland hog and took eighth in the Yorkshire breed. Even though it's smaller than other competitions Clements has shown in, Stadium No. 1 of the National Western Complex was still a crowded area. The showing arena was about the same size as that of the Weld County Fair, but the number of kids per class was about 20-30, double that of the fair. In Weld, it's normally more like 10-15. 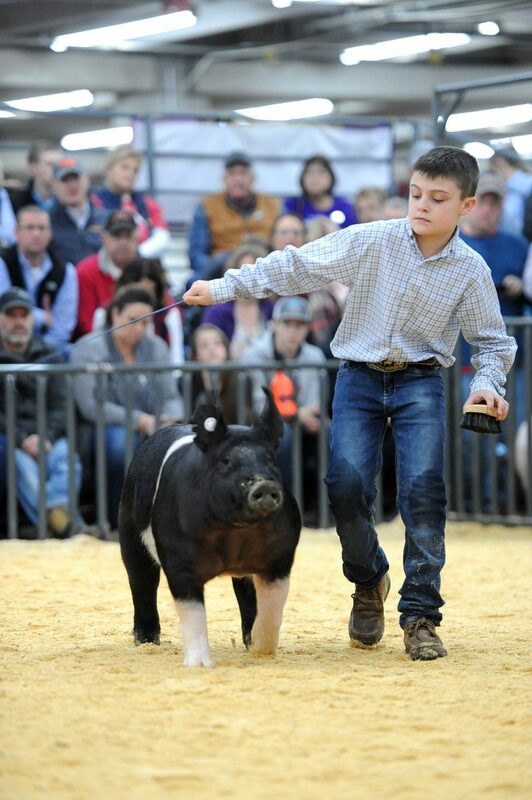 Pettit's brother, Colton, 14, took third in a class of 28 hogs in the duroc breed competition. As it was his first time too, he said he wants to come back and continue to show while he can. But he said the experience, while fun, was overwhelming due to the large number of competitors. But there's an appeal for larger shows like National Western. For some who showed hogs Wednesday, it was the competition; others treated the show as if it were a reunion. 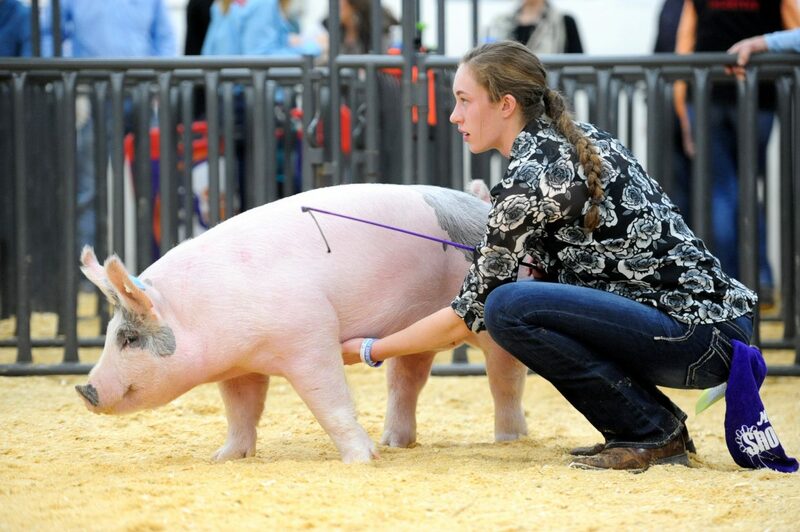 Taylor Starks, 17, of Rifle, Colo., also was in her first year of showing at National Western. "I really just wanted to get the experience and try it," she said. Caden Bangert, 9, of Fort Lupton, Colo., spent time with his cousins from Grand Junction, Colo., while he wasn't showing. Because they don't get to see each other that often, Caden said it was nice being around them. One of those cousins was 10-year-old Logan Bangert. Being with them was Caden's favorite part.